activities: Vocabulary Quiz, Emotion Word Quiz, and Sequence of Events. 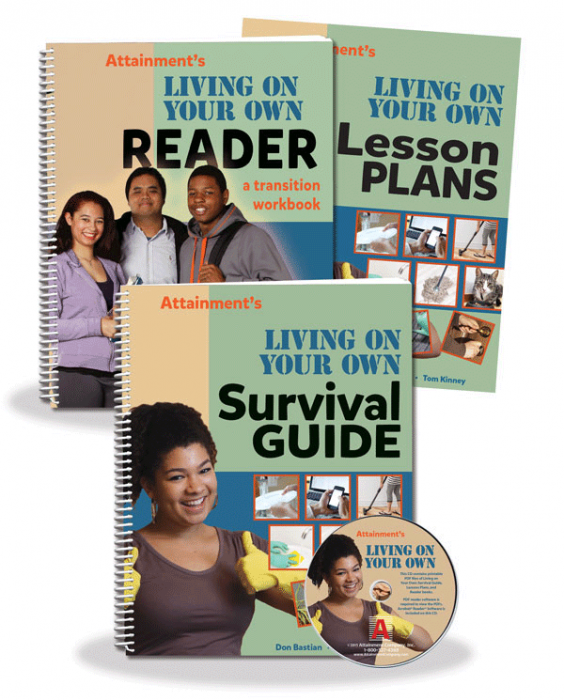 Lesson Plans provide topic narratives, student objectives, teacher scripts, plus a PDF CD that includes the Survival Guide, Reader, and Activity Assessment Forms. 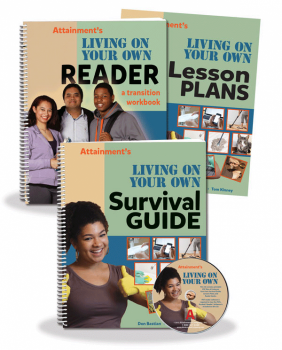 Living On Your Own Introductory Kit includes a Survival Guide, a Reader, and Lesson Plans with a PDF CD and Classroom License for printouts. The Classroom Kit includes eight Survival Guides, two Readers, and Lesson Plans with a PDF CD and Classroom License for printouts. The Survival Guide and Reader are also available separately. By Don Bastian and Tom Kinney. Reader by Elizabeth Conn. Spiralbound books, 2015.